Join Q8 Bookstore and Bayt Lothan in celebrating World Book Day ! Wednesday 23 April, 7 pm to 9pm - Discussion Panel on Censorship, Ticket : KD 5. Discussion panel on censorship with the amazing Shurooq Amin, Nada Faris and Dr.Naif Al Mutawa. Bring your kids for a day of story reading, arts and crafts. Friday event is free. 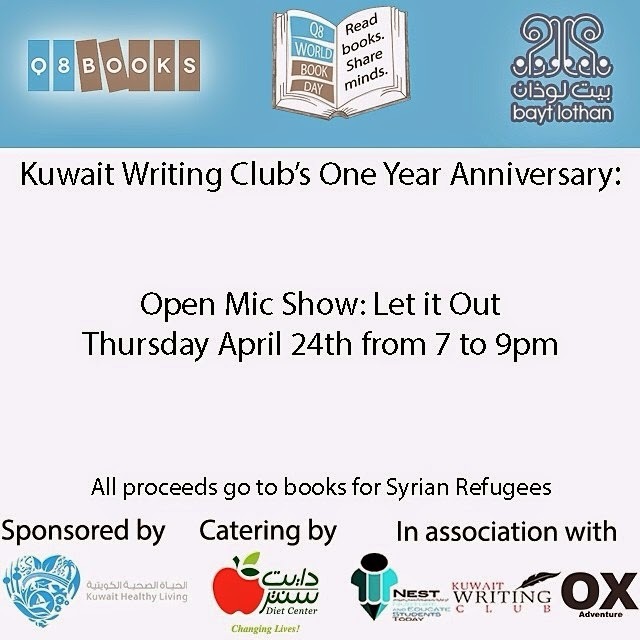 Tickets are KD 5 for each of the events held on Wedesday 23rd April and Thursday 24th April. 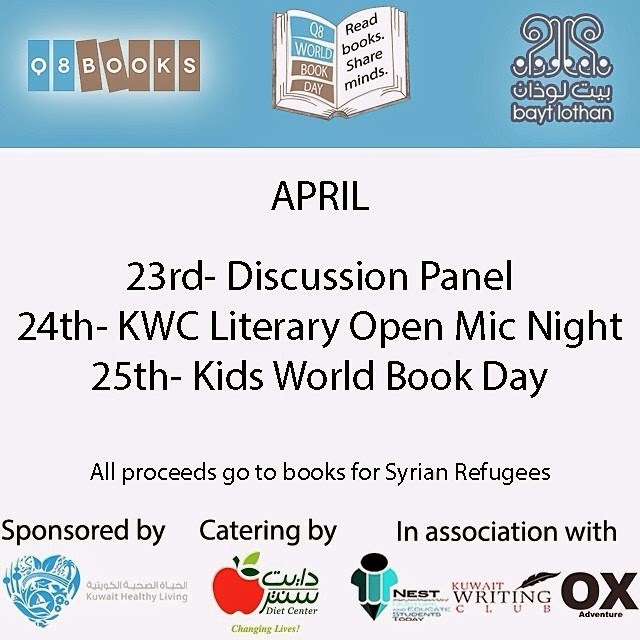 If you buy tickets for both the events, you get a free book from Q8 bookstore. Tickets can be purchased before hand at Bayt Lothan or Q8 Bookstore during their office hours. 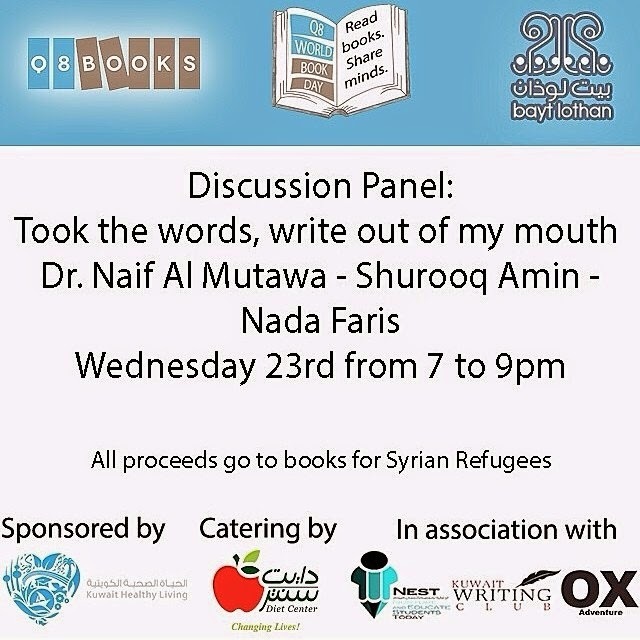 Proceeds go towards educational needs for Syrian refugees in Jordan! Event is sponsored by Kuwait Healthy Living.